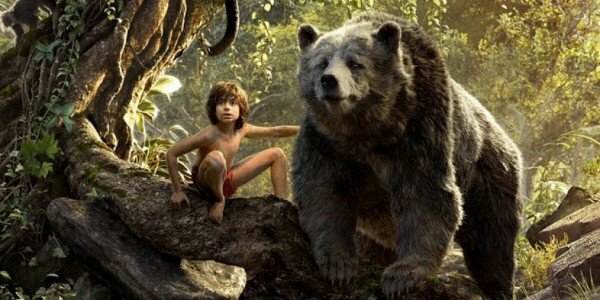 Disney’s The Jungle Book hits theaters next week, and while it is based on a family friendly animated feature, early reviews have stated that the film is significantly more dramatic than its cartoon counterpart. One would expect the story of a boy living in the wild among vicious animals could certainly be intense, however, one nation has decided that the film is simply too much. The country of India has given the film a U/A rating, which means children can only see the film with a parent’s supervision. Pahlaj Nihalani is the head of India’s ratings board which determines the suitability of films. While the U/A rating is often viewed as being on par with the MPAA’s PG rating the two aren’t quite the same. In India, a U/A rated film requires the supervision of an adult for any child under 12. In the US, the PG rating is only viewed as a suggestion, so any child can still see the movie, even by themselves. There really isn’t a PG rating equivalent in India. Your movie is either acceptable for everybody, or restricted to those under 12. Nihalani spoke to India’s DNA newspaper and explained that the reasoning for his decision was due to the intensity of the digital effects. In Jungle Book, the jungle animals jumping at the audience in 3D is startling. It's up to parents to decide how much of these effects are suited for their children. We have to say singling out the 3D effects as the reason for the rating seems strange. We’re assuming The Jungle Book is also available to see in a non-3D format. Is that version more acceptable for kids than the 3D version? Can you give the different formats different ratings? The backlash against the rating has been fierce. Mostly because this isn’t the first time this has happened. Last year the newest James Bond movie, Spectre had two of its scenes actually edited down for the Indian release because kissing was deemed too intense. Deadpool also had to receive edits in the country just to be accepted as an "Adults Only" film. We’re guessing Wade and Vanessa didn’t celebrate International Women’s Day in India. Some of the intensity of the frustration with the decision is likely also due to the fact that the story is an important one in India. Rudyard Kipling spent much of his life in India and the nation was the inspiration for several of his stories, including The Jungle Book. It’s something of a national treasure and the fact that some young people within the country now won’t be able to see it is upsetting some. The Jungle Book opens early in India, hitting theaters this weekend.